Yesterday we kinda did the history of the blog, explaining how we went from no readers to lots of readers, and showcasing a few fun highlights along the way. Today we’ll see about some of 2018’s best moments. Part of my fondest memories of 2018 was releasing the new horror anthology Dark Visions. Working with so many talented people is fun. The stories came from a Word Weaver writing contest we had in July with a horror theme, and many contributors had never been published before. Like the original horror anthology the prior year, it did well and was a lot of fun to do, and I guess it’ll be an annual thing now. Why not? And that’s something I wanna key in on in just a sec. During the selection process of the prior horror anthology, The Box Under the Bed, we met Jenifer Ruff, who quickly became a go-to person for lots of stuff, just like Allison Maruska. These two smart ladies help guide my writing now, and helped create Double Blind, a murder mystery. I hope they will always be my friends. They are amazing. 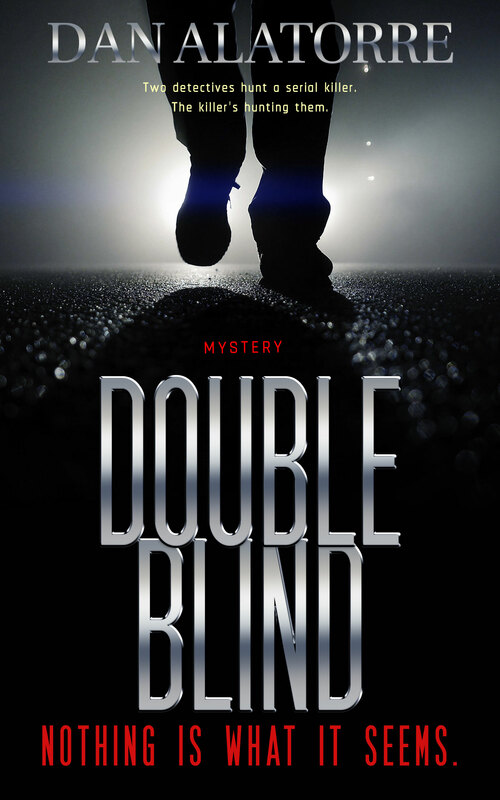 Double Blind flirted with becoming a USA Today bestseller in late November of 2018. And reading over yesterday’s post, I see a common theme. We had lots of successes here on the blog, and we had lots of failures. Some stuff I tried here worked; some stuff I tried didn’t catch on at all. The take away is, keep trying. I did all sorts of stuff on this blog that didn’t go anywhere, too. I’d give a new blog topic/feature/item a month or two, and if it didn’t catch on, I stopped doing it. Other times, what worked in 2016 seemed a little stale in 2017, and readers stopped engaging. We went from learning about writing stuff to teaching about writing stuff to doing a YouTube show, holding contests, creating anthologies, having a private critique group – on and on. It wasn’t all a success. And it’s kinda that way with books, too. Some will do well, others won’t – and you can’t tell which it is until it happens. Some just don’t catch on and they don’t sell. Learn that lesson and chalk it up to bad timing or a learning process. We don’t always know. Remember, Stephen King threw Carrie away, and his wife pulled it from the trash. Steven Spielberg’s flop Hook was the movie he did right before Jurassic Park, his biggest hit. Your writings may follow that path as well. They probably will. Mine do. For 2019, I want to tell you this: keep trying. I lost writer friends in 2018. They didn’t die; I think they gave up or got overwhelmed. I hope it isn’t true with one in particular, and I won’t say who because it’ll embarrass her, but she will probably fight her way back like she has in the past. Either way, I hope she knows she remains a friend even if she never write another word. One day that might be me, too. Life happens. You don’t see their names mentioned here much any more, and they are missed. A lot. I have some sequels to write in 2019. They may succeed and they may fail but I’ll keep trying. You keep trying, too. You may work hard and not achieve your goal, but you sure won’t achieve it if you stop. What successes do we want to brag about as we gaze back on 2018? Here are a few. 5. 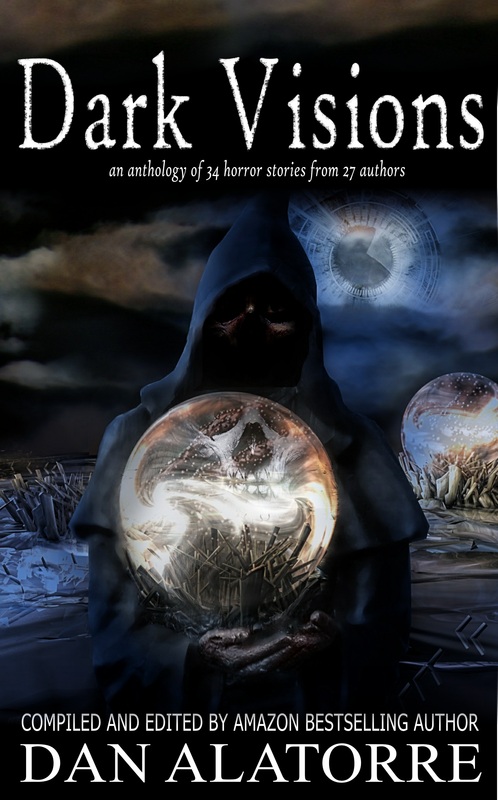 We created Dark Visions, the second book in the Box Under The Bed horror anthology series. This book is GOOD. When we do the third book in 2019, the series will probably take off. I have a good feeling about it. 4. We had several Word Weaver writing contests – and we’ll have more in 2019. 3. I served on the board of the Florida Writer’s Association. 2. I did a LOT of presentations. I presented to several grade schools, the FWA annual conference, the Tampa Writer’s Alliance, the Bay Area Writing Project, and a lot more. 1. I wrote a murder mystery! Gang, 2018 started off hard. I was completely overwhelmed personally by several things, and they just seemed to keep coming. Later in the year, my younger brother died of cancer. I added schools to my Young Authors Club and I wasn’t sure I could manage them all. Life happens here, too. But I hung I there and ended up writing my best work to date, and having a lot of fun doing it. 2018 was a success. In some ways, it was not my best year. In some ways, it was. I choose to focus on the successes it brought me, so I can and move forward, smarter and stronger from the challenges that came my way. The best is yet to be, for me and for you. Believe it. What can I say? The posts that got the most views and comments were announcements of contest winners and reading their stories! Congratulations! I’m not listing those here. There were two notable posts that did well and deserve recognition. My annual tribute to the tradition of Thanksgiving, this post recalls one particularly memorable Thanksgiving experience. Blurbs are hard for a reason. Find out why. My kid writes her own book. Not a post, really, but possibly the #1 moment in the year. My daughter wrote and published Kitty Diaries, her first solo effort. Proud papa moment, and I realized she and I are as close as I always hoped we’d be when I was doing all those late night diaper changes and middle of the night feedings that seemed to take forever. I won’t lie, some moments from prior years will be in my top 10 for life. I’m not sure I knew any would be that at the time. My top moments from 2018 were celebrating big moments for others. We came close in 2018. Be sure to comment and tell me about some of your top accomplishments for 2018! ← The year in review? Or a year-end top 10 list? Or both? Part 1: How to grow your blog and your base. I’ll miss your blog in 2019. Are you still doing the critique group? I’m always there for friends anyway. I never like to hear when someone says good riddance to the prior year, but sometimes that’s the best thing. Dan, our mutual friend, we keep in touch, I’ll let her know about this post. All the best, Eric. All the best, Eric! Cheers, mate! My top accomplishments for the year were placing again in your writing contests – both third place. I’m glad your excited about Dreamers. Might start on that soon -on page 200 of The Ender. Cabin 5 was more of a shock for me because I never thought I’d write horror, but wanted to stretch myself. Being published again was exciting. I think my biggest accomplishment was being signed by Parliament House Press for The Weaver (which is my baby) – I’m sure you have one of those. It was the first book I wrote. I also started a travel blog with my husband as a joint venture (mytravelifestory.com). We always wanted to do something together with my writing and his photography. We’ll see where it goes. I’m looking forward to working with Dan in 2019.